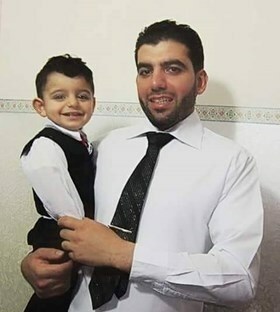 The Palestinian Authority (PA) intelligence apparatus stormed on Sunday night the family home of prisoner Abdullah Rasras in the northern West Bank district of Tulkarem and handed the family an order summoning the detainee for interrogation. The prisoner’s wife, lawyer Banan Abu al-Heija, said in a Facebook post the PA intelligence agents broke into the family home and wreaked havoc on it before they seized two PCs and official documents of Abdullah’s own. Lawyer Abu al-Heija added that the PA forces seized a green banner posted on the house rooftop. The PA devices further handed the family an order summoning prisoner Abdullah, held in an Israeli lock-up, for questioning on Monday. Abu al-Heija slammed such an arbitrary break-in by the PA apparatuses, which was carried out with no regard whatsoever for the family’s critical psychological state. The Palestinian Authority security forces on Monday arrested journalist Naila Khalil, who works for "al-Arabi al-Jadeed" newspaper, and released her later on bail. 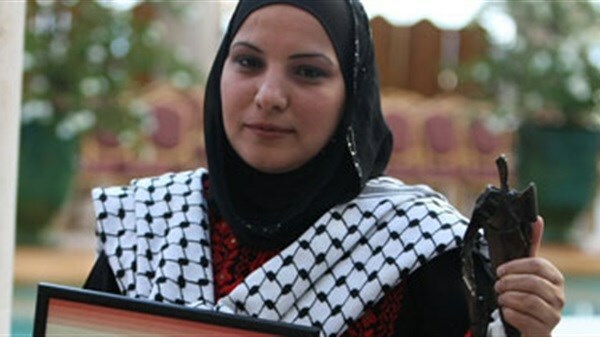 Khalil was also ordered to stand before the public prosecutor in Ramallah on Wednesday on charges of her work for an unlicensed newspaper. For its part, al-Arabi al-Jadeed newspaper denounced the detention of its journalist and described the charges leveled against her as reprehensible, politically motivated and an intentional violation of the freedom of the press. The newspaper also demanded the Palestinian authority to backtrack on its decision to refer the journalist to the prosecutor's office and to provide it instead with the licenses needed for its work. Al-Arabi al-Jadeed called on all journalists and media workers in Palestine to express their solidarity with journalist Naila Khalil. The mother of Palestinian prisoner Karam al-Masri, whose house was razed by Israeli forces at dawn Saturday, said demolition of Palestinian houses will not make Palestinians stop resistance actions against Israeli violations. Israeli forces at dawn Saturday demolished three homes of Palestinian families of prisoners who are suspected of carrying out the Itamar attack on the first of last October. The forces also razed the house of captive Muadth Hamed who is held in Palestinian Authority jails. He is accused of shooting against Israelis three months ago. The PIC reporter said that hundreds of Israeli soldiers surrounded and then blasted the houses of prisoners Karam al-Masri, Yahya al-Haj Hamad and Samir al-Kousa. The Palestinian Authority (PA) handed at dawn Tuesday two Palestinian political prisoners to Israeli authorities at Za'tara checkpoint. The two political prisoners were identified as Kamel Hamdan, from Jenin, and Yahya Abu Muamar, from Tulkarem. Hamdan’s wife affirmed that her husband called her at 10 p.m. Monday from PA Jericho prison and told her that he will be released in few hours. "We were so happy to hear the good news", the wife said. "We then received a second phone call at midnight saying that my husband is being taken to Za'tara checkpoint to be handed to the Israeli occupation forces", she added. 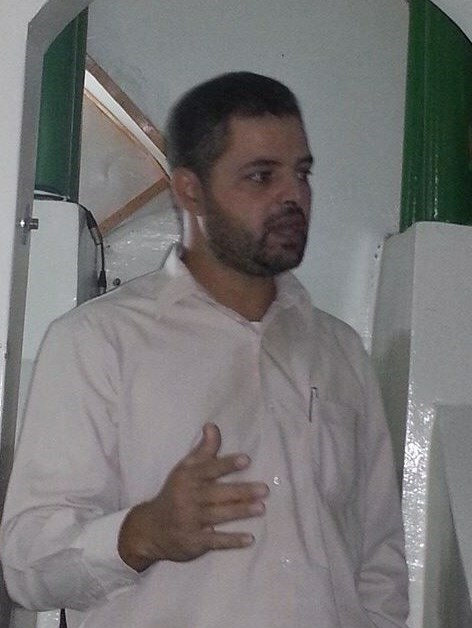 Hamdan, a father of two children, was arrested by PA security forces in June 2015 from his work place. 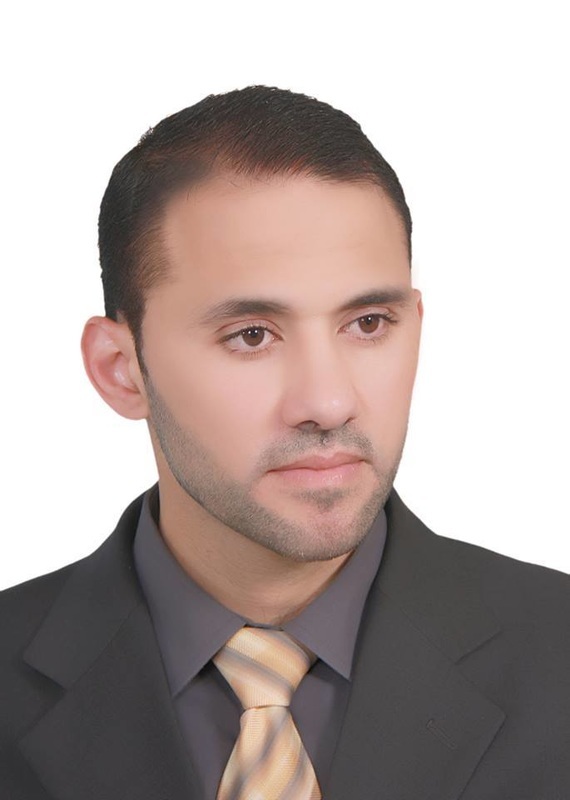 The political prisoner Yahya Abu Muamar was also arrested in May 2015 after PA forces brutally stormed his work place. The two political prisoners were held in PA jails for several months although they got a court’s order for their release. They launched a hunger strike for days before being suspended after they received promises to be released in few days. 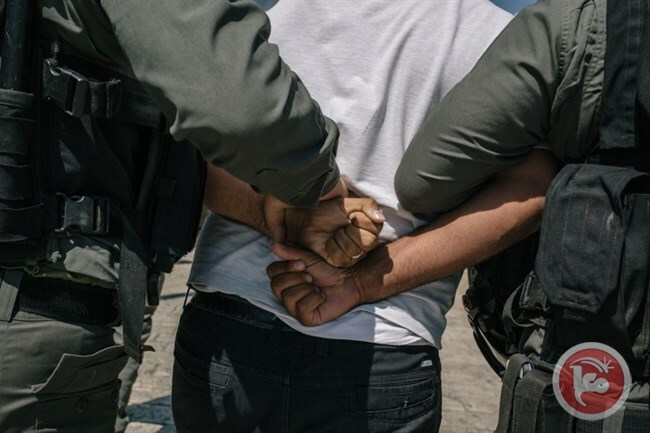 The Palestinian Authority (PA) security forces on Monday arrested two Palestinian citizens and summoned several Hamas supporters in Jenin city, as part of their security coordination with the Israeli side. Local sources told the Palestinian Information Center (PIC) that the preventive security forces kidnapped the brothers, Mustafa and Mu'men Ma'alla, after ransacking their home, noting that they were ex-detainees in Israeli jails. The sources added that several young activists from Hamas in the city also received summonses for interrogation from the preventive security. They expressed their belief that the PA security apparatuses aim to suppress al-Quds intifada (uprising) against the occupation through arresting pro-Aqsa protesters in the West Bank as part of their security collaboration with Israel. The Israeli Occupation Authorities (IOA) claimed Monday the arrest of a “Hamas cell” that was behind the Itamar shooting attack over the weekend during which an Israeli military officer and his wife were shot dead. According to Israeli media sources, the cell constitutes of five persons who are all residents of the West Bank city of Nablus. The five young men, including the cell leader and the two who fired at the Israelis, were nabbed over the weekend during an Israeli arrest campaign in the city, the sources added. The leader of the group, according to the Israeli sources, was identified as Ragheb Ahmad Muhammed Alawi (37). According to the Shin Bet, he recruited the others and gave them weapons to carry out the shooting attack. All five were said to have been involved in other attacks as well, the sources claimed. Another member of the group was arrested Sunday when undercover Israeli forces entered the hospital in Nablus where he was receiving care. Palestinians uploaded a video to the internet showing the violent arrest. All the five suspects are affiliated to Hamas movement, the Shin Bit added. Israeli analysts charged that the cell arrest is linked to the security coordination between Israeli and PA forces. 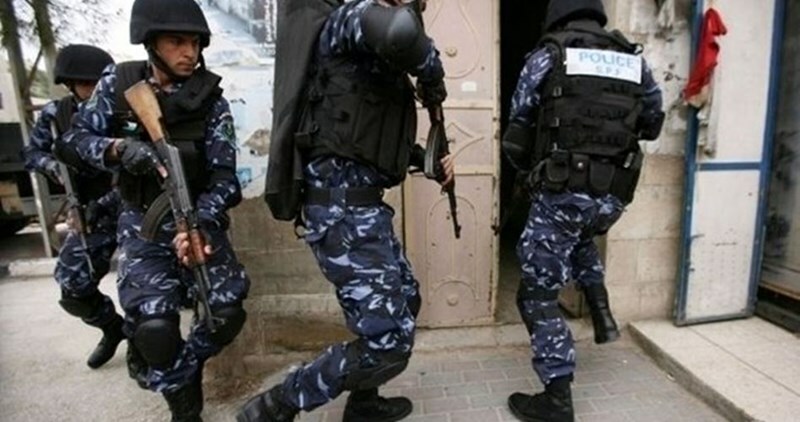 The Palestinian Authority (PA) security forces have arrested seven citizens because of their political affiliation, including a senior Hamas official and two journalists. 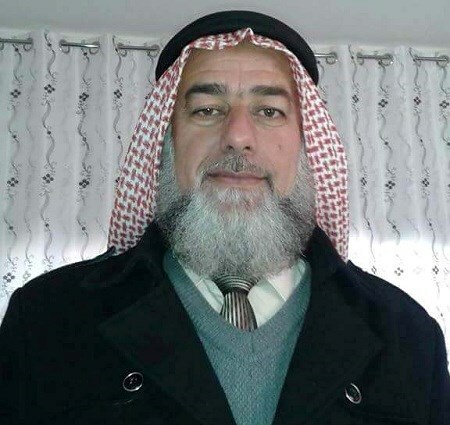 In Ariha, PA security elements on Sunday evening kidnapped Hamas official Sheikh Shaker Imarah after he left a mosque in the city. In Nablus, the PA preventive security kidnapped 22-year-old Mahmoud Wajih, a university student, from his home. The same security apparatus also kidnapped another young man called Jamal al-Saiyeh after storming a commercial store belonging to another prisoner in its jails. Yassin Abbadi, a young man from Sebastia town, was also detained by the PA intelligence apparatus in Nablus city. 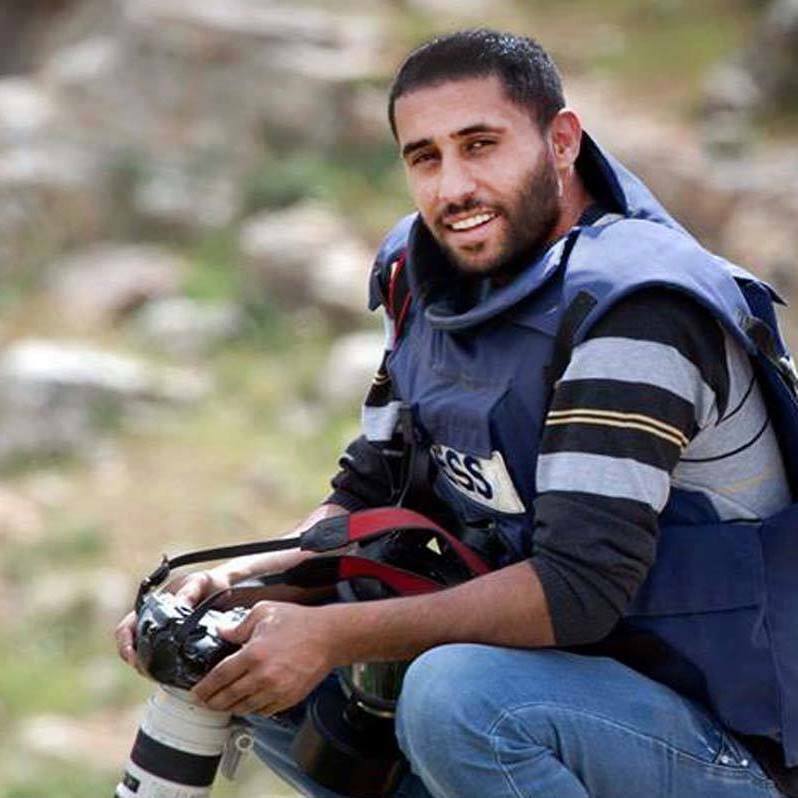 In Bethlehem, the preventive security arrested photojournalist Muaad al-Amarneh and his colleague Muhaisen al-Amareen as they were covering a march protesting the violations committed by the PA security forces against the Palestinians in the city. The political prisoner Fadi Hamed’s family held on Monday the PA Chairman Mahmoud Abbas and his security services fully responsible for his life as he enters his 37th day of hunger striker. Hamed’s father told the PIC reporter that his son lost almost half of his body weight due to his hunger strike for 37 days running in protest against his continued political detention in PA jails. He called on all local and international human rights institutions to immediately act for his son’s release before it is too late; pointing out that he was subjected to severe torture in an attempt to break his strike. Fadi Hamed, who spent 26 months in Israeli jails, was arrested at the hands of PA forces few days after his release from Israeli prisons and only ten days before his wedding ceremony. The Palestinian Authority (PA) intelligence in Tulkarem brought on Tuesday the political detainee Iyad Hosny Naser, 41, before a military court on allegations of breaching the security of military institutions. “Naser has been held in the PA lock-ups for over three months despite an earlier decision issued by the Tulkarem court to release him,” Naser’s family added. 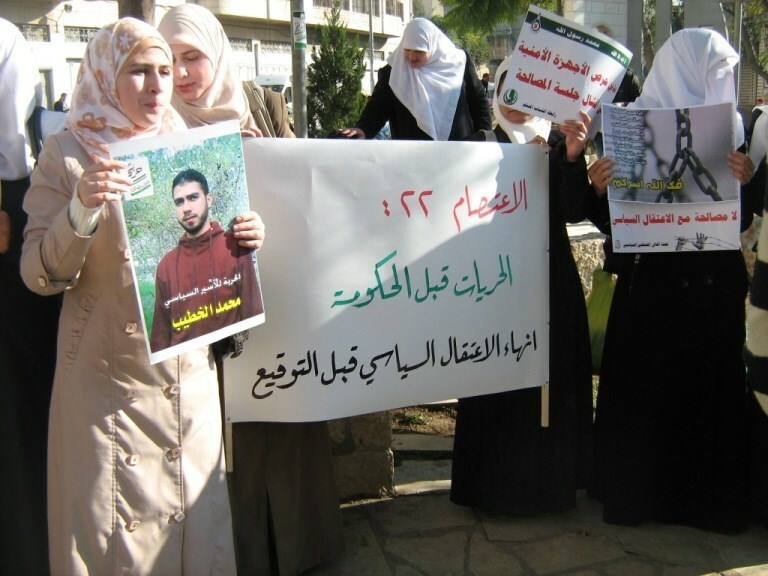 Several human rights organizations proved that prisoner Iyad was subjected to heavy torture by the PA intelligence apparatuses in Bethlehem, Juneid, and Ramallah jails. 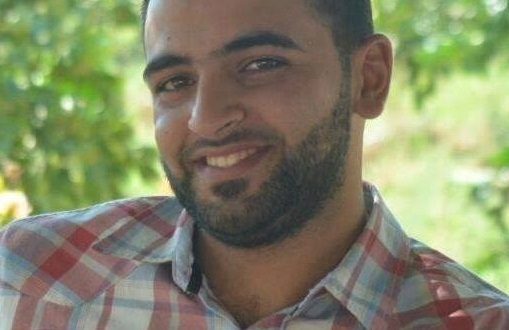 Iyad, arrested on June 12, had spent over two years and a half in the Israeli occupation jails and one year in the PA’s. A military court is empowered to determine the guilt of members of the armed forces subject to military law, and, if the defendant is found guilty, to decide upon punishment. Iyad’s prosecution is a barefaced breach of international laws and conventions, which prohibit trying civilians before military courts. The Palestinian Authority (PA) apparatuses attacked on Sunday a group of Palestinian citizens after they took to Bethlehem streets to demand Abbas’s resignation. According to a PIC journalist, the rally-goers chanted slogans urging the PA Chairman, Mahmoud Abbas, to step down and cease security coordination with the Israeli occupation. Clashes flared up after the PA soldiers prevented the marchers from reaching the district headquarters. The PA forces reportedly unleashed live ammunition to disband the demonstrators. Photojournalists Muheissen al-Amareen, 30, and Mu’adh Amarna, 28, along with the youth activist Mondher Ameira and four unidentified protesters were abducted by the PA apparatuses in the process. The protesters rallied in front of the Duheisha refugee camp shortly afterwards and closed the access road in protest at the PA violations. Meanwhile, local media sources said the PA intensified military deployment in the area in an attempt to quell further protests demanding the departure of Abbas. Earlier, on Friday, the PA forces attacked a peaceful demo staged in support of the holy al-Aqsa Mosque and the peaceful Muslim sit-inners. Prisoner Fathi Raja Khatib, 56, began an open-ended hunger strike in his Israeli jail in solidarity with his son Ahmad who is detained by the Palestinian Authority and who is on hunger strike for three days now protesting his political detention. Khatib's family confirmed that they had received a massage from his lawyer stating that he had gone on hunger strike. The journalist Ahmad Khatib was detained by the Palestinian Authority security apparatuses last week, and then his detention was extended for 15 days. He is now in the Palestinian intelligence prison in Ramallah. 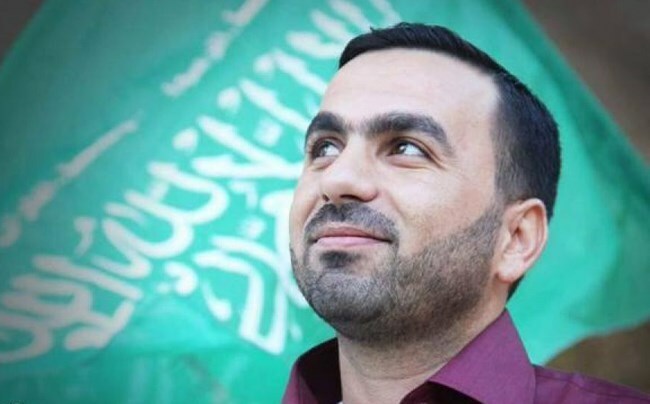 Captive Ahmad Khatib, 27, was freed last June from Israeli occupation jails after about a year in administrative custody, without trial or charge. 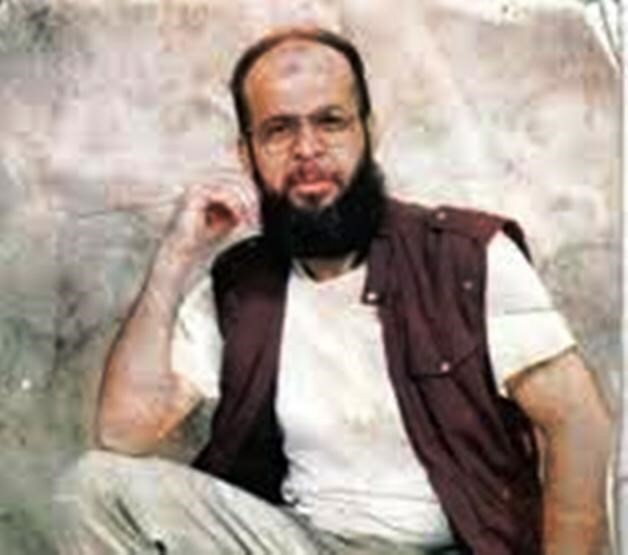 The father Fathi Khatib, detained since 2002, was sentenced to 29 life imprisonment terms plus 20 years. The Israeli occupation authorities accused him of providing transportation for Abdel-Baset Oudeh who carried out a human bombing operation in the Israeli hotel "Park". Islamic Resistance Movement, Hamas, slammed the Palestinian Authority (PA) for quelling pro-Aqsa marches in the West Bank especially in Bethlehem and Jenin. 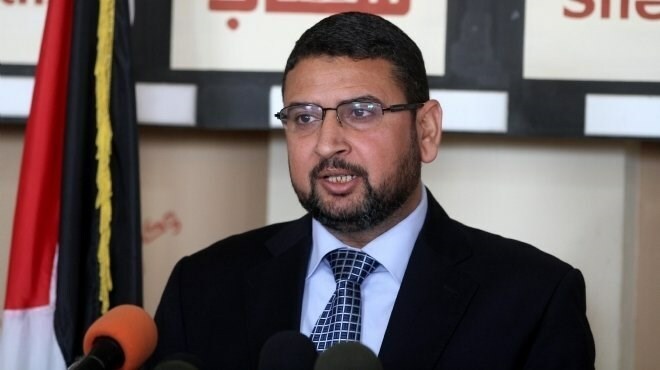 Hamas spokesman Sami Abu Zuhri said, in a press statement on Friday evening, PA’s quelling of pro-Aqsa marches is a national crime and contribution to the Israeli crimes against the Aqsa Mosque. The PA’s security forces arrested 17 citizens from different governorate in the West Bank for political backgrounds and quelled so many marches in support of the Aqsa Mosque. 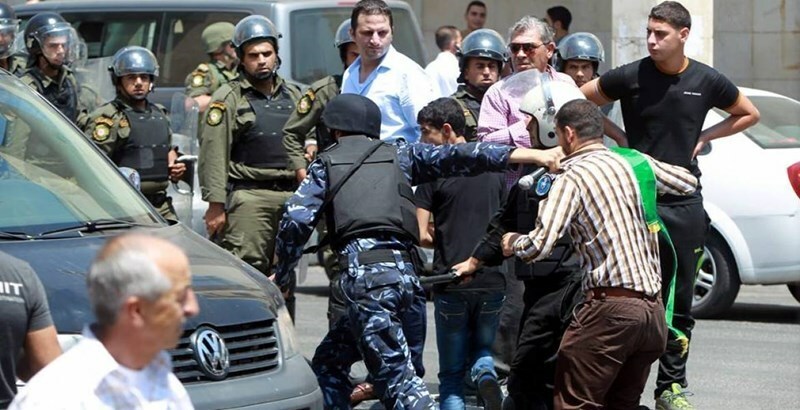 Three journalists working for local TV channels and news agencies were included in the PA’s arrests. Massive rallies and demonstrations are seen in the West Bank, Gaza Strip, Jordan and other Muslim and Arab countries in response to the calls for general mobilization in support of the Aqsa Mosque. The pro-Aqsa marches aim at defending the holy site from Israeli latest unprecedented escalation in an attempt to impose the temporal and spatial division at the Aqsa Mosque between Arabs and Jews. The Palestinian Authority (PA) security forces in the West Bank have kidnapped 17 Palestinians, including journalists and participants in protests in support of the Aqsa Mosque. In Nablus, the PA preventive security forces kidnapped journalist Tareq Abu Zaid, who works as a reporter for al-Aqsa satellite channel, and Mujahed al-Saadi, who works for Palestine channel as well as a photographer working for Ram Sat company. Four young men, including two university students, were also taken prisoners following their participation in a march called for by Hamas in support of the Aqsa Mosque. The detainees were identified as Husam al-Amoudi, Ahmed Amarneh, Abdul-Rahma Duweikat and Zuhdi Qawariq. In Ramallah, the PA intelligence kidnapped a Palestinian citizen called Iyad Jaber, from Beit Liqya town, during his presence near al-Manareh roundabout. In Bethlehem, the PA security forces kidnapped a young citizen identified as Abdullah Hammad after severally beating him during his participation in a pro-Aqsa protest. Three other young men were taken prisoners during their participation in the same march in Bethlehem. The security forces also chased other participants in the march into the streets of Beit Jabreen refugee camp in the city and opened fire at some of them, with no reported injuries. Three other young men were caught by the security forces in similar marches staged in different West Bank areas. In Tubas city, the preventive security kidnapped Hamza Daraghmeh after he responded to a summons for interrogation. Another young man named Hamza Jamal from al-Ein refugee camp in Nablus had been kidnapped two days ago by the preventive security after summoning him for interrogation. The PA Magistrate court in Ramallah extended Thursday the arrest of three political detainees for 15 days including a journalist. Two of the political detainees have been on hunger strike for more than month in protest against their detention, while the third joined the strike during the court session. Family sources affirmed to the PIC reporter that the Magistrate court extended the arrest of Fady Ghanem, who has been on hunger strike for 31 days, for 15 days along with Maher Shuraitah who declared hunger strike 33 days ago. The journalist Ahmed Khatib’s detention was also extended for 15 days after being detained on Wednesday in Ramallah. Khatib declared hunger strike during the court session in protest against his extended detention. Maher and Fady were brought to court in very difficult situation as they were unable to stand by themselves, the sources added. Fady was detained on August 16, 2015 only one month after his release from Israeli jails and ten days before his wedding ceremony. Immediately after his detention, he declared hunger strike. Maher was arrested on August 18, 2015 and subjected since his detention to severe torture in an attempt to break his hunger strike. He was moved three times to hospital due to his difficult health problems. The Palestinian political detainee Maher Shuraitah, who has been on hunger strike for 31 days running, was subjected to a brutal attack in PA jails and moved twice to hospital. Well-informed sources told the PIC reporter that PA Intelligence Services transferred the political detainee Shuraitah to Ramallah Hospital for treatment after being savagely beaten to force him to break his hunger strike. The defenseless political detainee was kidnapped last month and since that time he was subjected to severe torture at the hands of PA forces. Meanwhile, PA Security Forces stormed overnight Jenin camp and brutally attacked the popular festival that was organized in solidarity with Palestinian prisoners and al-Aqsa Mosque. The PA forces heavily fired tear gas bombs and live ammunition in the air to break up the rally, while several local homes were violently stormed and searched after cutting electricity in the area. In the wake of the attack, a state of tension has prevailed in the camp where local youths stoned the storming PA forces. The Palestinian Authority Preventive Security Forces on Sunday briefly detained a Palestinian citizen from Tulkarem in the northern West Bank over comments allegedly criticizing Palestinian officials on social media. Initial reports said that Abdullah Nashat al-Sayyid was detained by the PA intelligence branch after he criticized PA Prime Minister Rami Hamdallah on Facebook. However, a spokesperson for the PA Preventive Security Force, Ikrima Thabit, denied that criticism of Hamdallah had been the reason, although he confirmed that al-Sayyid was detained for activity on Facebook. "He wasn't arrested for freely expressing his opinion," Thabit claimed. He said that al-Sayyid was arrested on charges of "slander, defamation, and an attempt to harm Palestinian relations with some brother Arab nations, namely Saudi Arabia, through Facebook posts. "Thabit warned news outlets against quoting social networks, claiming that "some try to use these networks as platforms for defamation and attacks against officials and dignitaries. "Over the last year, a number of Palestinians have been detained by both Israeli and Palestinian forces for their use of social media. In December last year, Israel convicted eight Palestinians of "incitement via Facebook," claiming that their online comments had raised tensions across Jerusalem and encouraged acts of "terrorism." The family of political detainee Nader Jubran has complained that the Palestinian Authority (PA) intelligence agency refuses to comply with a court verdict ordering the release of its son. According to the family, Jubran started an open-ended hunger strike in protest at the PA intelligence's refusal to obey the court ruling, which had dismissed the charges against him as unfounded. The PA security apparatuses accuse the detainee of possessing weapons and being involved in money laundering, but the family confirm that the charges are untrue and aimed at keeping its son in jail. This was not the first time the PA security apparatuses refused to execute court rulings ordering the release of political detainees. 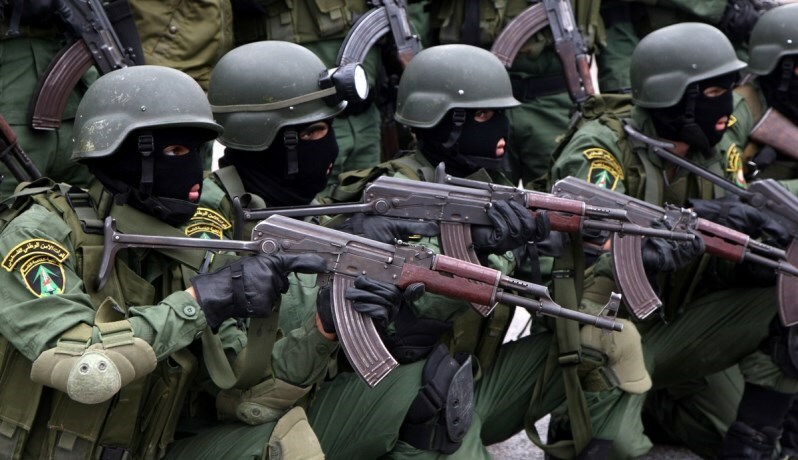 Palestinian Authority (PA) intelligence forces summoned on Saturday the Hamas leader in Tubas in the northern West Bank Sheikh Mustafa Abu Arrah. PA preventive forces arrested Abu Arrah last week on his way back home after finishing his work at one of the town’s schools. Upon his release, he was summoned to be questioned by the PA intelligence forces. Many Palestinian political detainees are being frequently summoned for questioning by the PA different security apparatuses shortly after their release. Sheikh Abu Arrah is one of the well-known senior leaders of Hamas Movement in the West Bank. 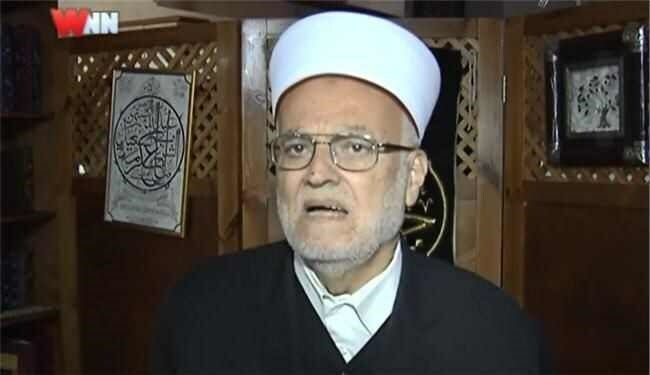 Sheikh Ikrima Sabri, head of the higher Islamic council, has called on the Palestinian Authority (PA) leadership to end its security collaboration with the Israeli occupation. In his Friday khutba (sermon) at the Aqsa Mosque, Sheikh Sabri highlighted that "the security coordination with the occupation is rejected by the Islamic religion and goes against the Palestinian people's higher interests. He stressed the need for stopping this kind of cooperation with the occupation and renouncing all acts of societal and political hypocrisy. He also talked about the recent dangers threatening the Aqsa Mosque and the humanitarian suffering of the Palestinian people under the occupation.